The first step toward attaining a beautiful yard is to have a professional landscape design plan created for the front yard should introduce the architecture of the home with a theme that reflects its basic principles and geometry. 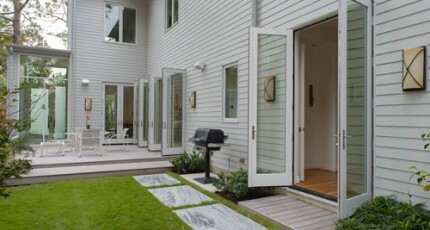 The portions of the yard that border either side of the home should parallel its linear movement and function as transition spaces between the front and back yards. The back yard itself should be an extension of indoor living space. More than anything, it should contain elements and themes that directly symbolize the motivations and values of the homeowner’s heart. One of the things you will immediately discover about a truly beautiful yard is the level of sophistication in hardscape design. Patios, walkways, courtyards, and even stairway steps are fashioned with a degree of craftsmanship that denotes true planning and artistry. Careful attention is paid to geometry and proportion because hardscape design often serves as a near mirror image to the facade of the home. In a professional landscape project, hardscape may comprise up to 80 percent of yard surface. In order to avoid choking out the yard’s sense of life and vitality, it is necessary to design such structures in correlation to the home, any distinguishing landmarks on the Houston landscape, and to one another. Variations in surface elevation, diversity of high-grade materials, and sophisticated masonry structures that add vertical impact to surfaces all work toward building an outdoor living space that provides comfort and scenery to rival the interior of the home. 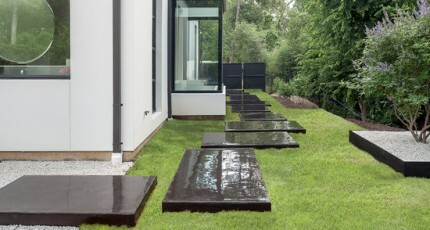 Softscape is the vegetation that is carefully cultivated to provide the organic, vital essence of a beautiful yard. 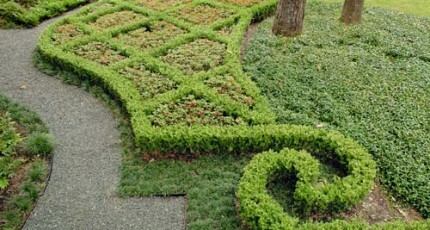 The most well known type of softscape is garden design. 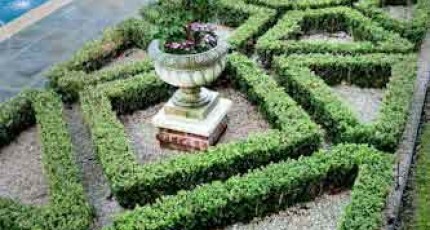 Garden design can range from formal gardens to small gardens, custom gardens, and avant garde contemporary gardens. Do not mistake gardens for flower beds. Flower beds are typically small and ornamental, planted around trees and along sides of houses. Gardens, on the other hands, are environments within themselves. Almost all of the gardens we design are large enough to at least walk through, and many are large enough to sit within under the shade of an arbor or garden pergola. Along with garden design, a beautiful yard must also have trees, grasses, flowers, and shrubs. Trees are essential to any home on the Houston landscape because they add a vertical dimension to an otherwise flat terrain. New homes that do not have trees in their yard can have large trees trucked in. 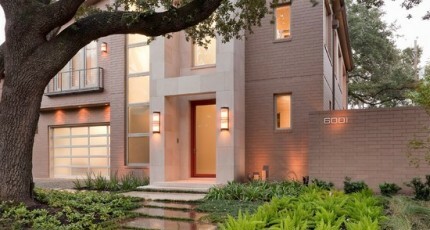 Older, existing homes can have smaller and mid-sized trees planted to form organic walls and shade over custom patios. Landscape architecture is another key element of a beautiful yard. Architecture creates human habitations that functionally serve the comfort needs of people while simultaneously complimenting the aesthetics of nature. Popular structures include arbors that are equipped with silent ceiling fans, outdoor kitchens with climate controls, outdoor fireplaces with courtyards and professional masonry work, and courtyards with lighted fountains and eclectic outdoor furniture. Water features make a beautiful yard more fluid and dynamic. While swimming pools tend to be standard around many larger homes throughout the Houston landscape, our approach to swimming pool design is more focused and unique. We custom design each pool proportional to the home, and we build every pool structure to geometrically compliment other landscaping themes. The materials used to construct coping, spas, and patios are always of the highest commercial grade that is weather resistant and superb in function and form. Finally, never forget how important the simplicity of visibility is to the ultimate success of a beautiful yard. All the elaborate forms in the world lose their luster when the sun goes down and the world is plunged into shadow. To prevent this from happening in your yard, we always install sophisticated landscape lighting fixtures that clearly define and accent the many forms we build and cultivate on your property. Examples include pool and pond lighting, garden lighting, pathway lighting, tree lighting, and exterior lighting for outdoor architecture. With only a little bit of light in the right places, and with more energy efficient technology than ever, your yard can look even more beautiful at night than it does in the daytime.